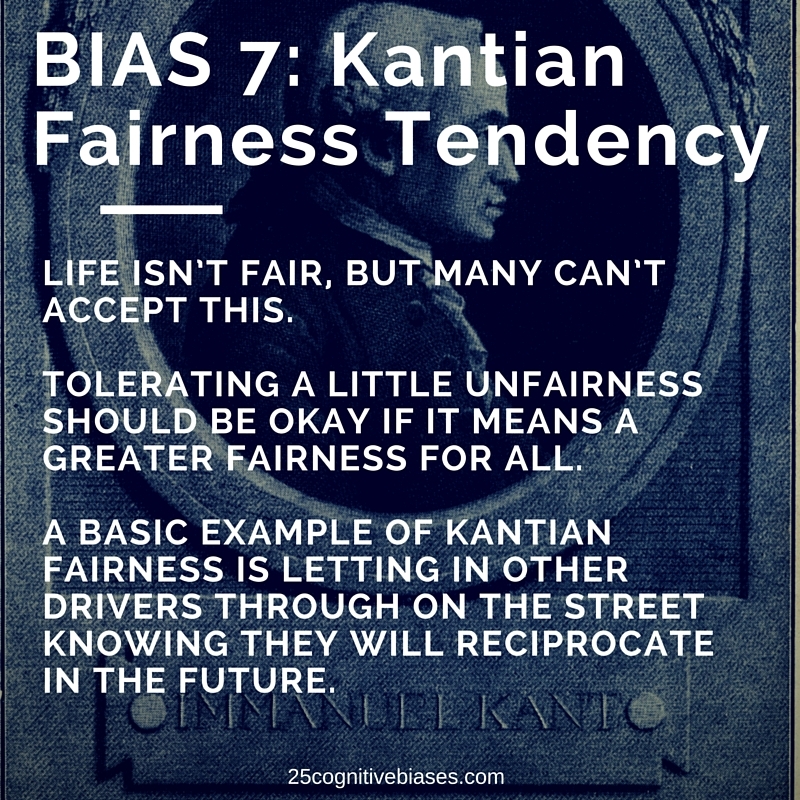 Bias 7 - Kantian Fairness Tendency | 25 Cognitive Biases - "The Psychology of Human Misjudgment"
This entry was posted in 25 Cognitive Biases and tagged Charlie Munger, Cognitive Bias, Kantian Fairness Tendency. Super basic but IMPORTANT BIAS! !